Alloy 20 is one of the so-called “Super” stainless steels that was designed for maximum resistance to acid attack. It”s nickel, chromium, molybdenum and copper content contribute to its overall resistance to chloride on stress corrosion cracking and general pitting attack. 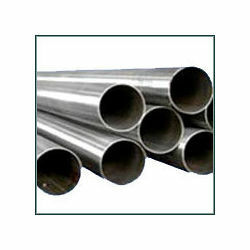 The alloy is stabilized with Columbiam to minimize carbide precipitation during welding. It has good mechanical properties and can be fabricated with comparative ease. Although the alloy was designed for use in sulfuric acid related industries, it finds wide usage throughout the chemical processing industry. It also is used for processing pharmaceuticals, food, gasoline, solvents, plastics, explosives, synthetic fibers and many other products. We offer wide range of Alloy 20 (UNS No. N08020) products in from of alloy sheets, alloy plates, alloy pipes, alloy tubes, pipe fittings, flanges, rods, flats, strips, fasteners in all forms shapes and size.